The search engines have spoken and thousands of you want to know how to buy property in Sardinia, Italy. I’m here to show you the easy way. How do I buy a small house in Sardinia with a plot of land for a garden? I’d like to retire to Sardinia but I don’t speak Italian? My husband and I would like to move to Sardinia with our family but we don’t speak Italian and haven’t a bank account in Italy, what do we do? 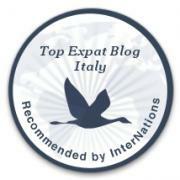 How do you find an agent you can trust, and one that speaks fluent Italian and fluent English? That’s another easy question that I can answer. I’ve worked closely with a company based in Budoni, Sardinia who have helped English speakers just like you find their dream home in paradise, and who have gone above and beyond their agent duties to make sure every last-minute detail is taken care of. Immobiliare Orizzonte Casa Sardegna is the agent for you. Bruno Pala is the owner and agent of Immobiliare Orizzonte Casa and is fluent in Italian and English. British born, he has over 15 years’ experience living, working and selling property from the coast to mountain towns in Sardinia. He has successfully helped British buyers find their dream house and these buyers now call Sardinia home, all year round. I live on the Northwest coast of Sardinia, and am totally biased to the emerald hues, red granite pillars of strength and the gracious hospitality from the islanders. For the last six years Sardinia has been my home, my sanctuary, my life force and the place my soul has found to rest. She can also be yours. Sardinia’s rugged, unspoilt coastlines are unforgettable moments you can make last a lifetime, and your first move is to decide where in the north you’d like to call home. The two major airports in North Sardinia are Alghero and Olbia. Both are serviced with low-cost airlines and national carriers. The driving distance between the two airports is roughly 2 hours, but if you’re like me and stop to smell the roses, and you will here in paradise, the drive will be enjoyably longer. There are no restrictions on foreign buyers and, as of January 1st, 2014 the Italian resale tax on property has been lowered making this the time to buy your dream property in Sardinia. What’s in your wallet is none of my business but expect to buy property from €65,000 to €3 million; the latter price tag was bought by Roman Abramovich who last year bought a whopper of a villa in Costa Smeralda. Now that you have decided to call Sardinia your home, why not give Immobiliare Orizzonte Casa Sardegna a call. I guarantee that you won’t be disappointed, you can even tell them that I sent you. Happy house hunting from our home to yours.